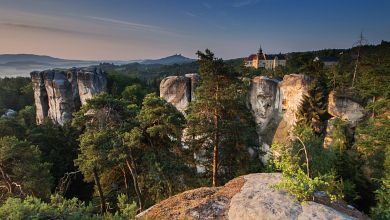 And here it is: magic land of castles and rock towns. 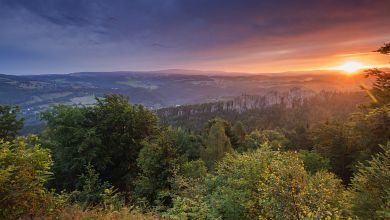 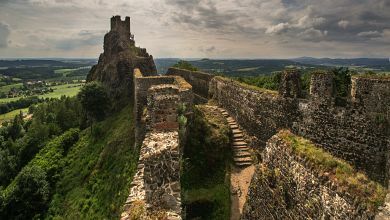 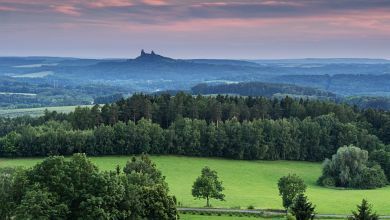 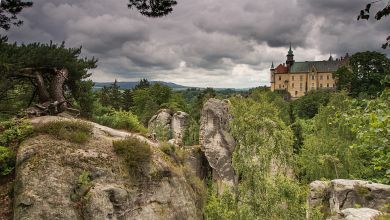 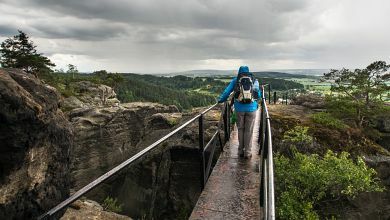 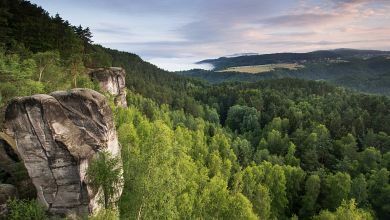 The main symbol of this region is of course Trosky Castle, which distinctive shape can be seen almost from every trail. 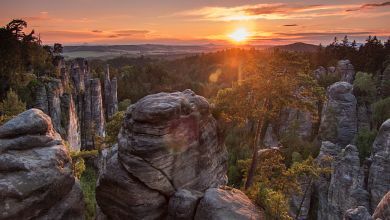 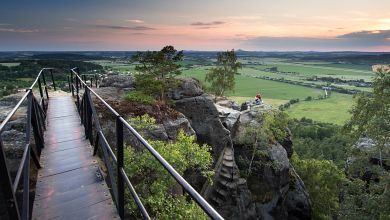 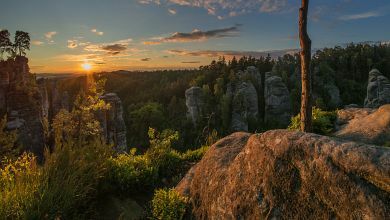 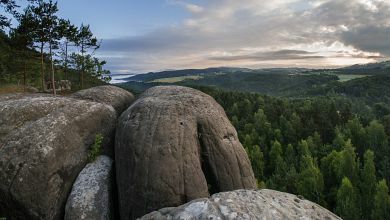 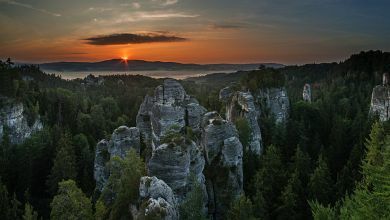 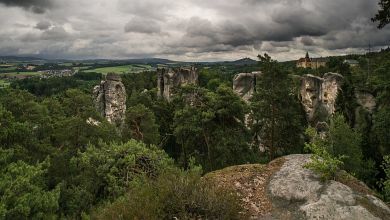 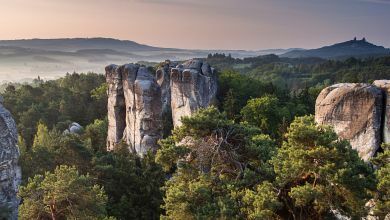 But Bohemian Paradise its not only Trosky - you can see here impressive rock towns (Prachowskie Rocks, Hruboskalsko) as well as single, vertical rock formations (my favourite Drábské Světničky). 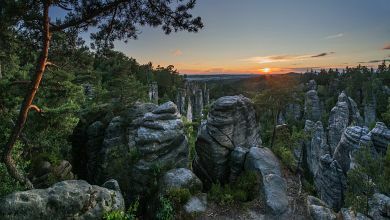 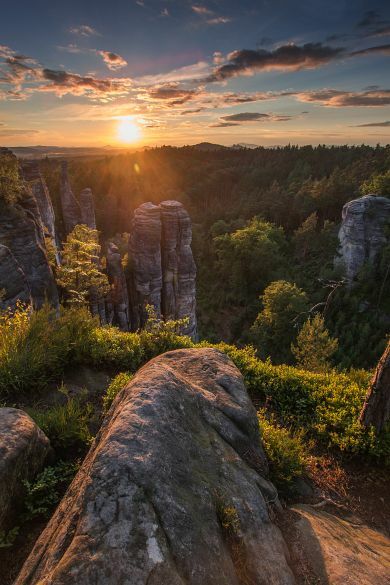 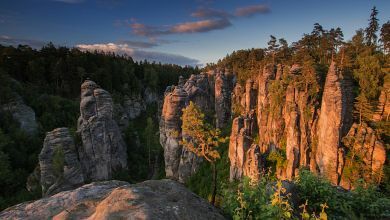 Additionally, you can find here such gems as Studeny Pruchod (narrow gap between two tall rock faces which looks similar to the Paths of the Dead from Return of the King movie). 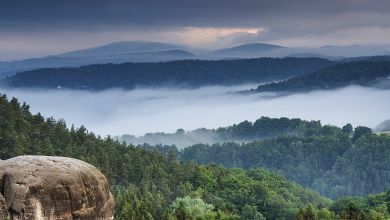 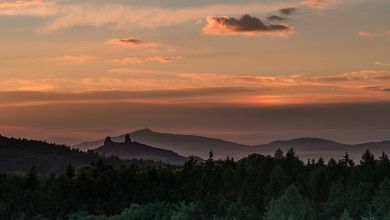 The big advantage of Bohemian Paradise is fact that it looks great independently from weather. 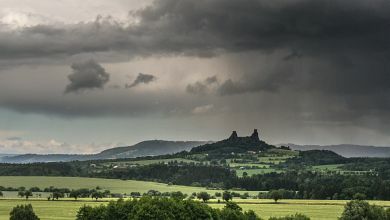 Even heavy, stormy clouds create great background for pictures, and - thanks to them - you can bring home something more original then typical sunny shots.